Since I started eating Paleo I have gradually learned to love coconut and everything that is made out of it. I started using coconut oil for cooking and baking. Then I discovered coconut flour and quickly incorporated coconut flour recipes into my repertoire. Now I have discovered coconut sugar, and it just may be the best coconut product of the lot. I say this because even though coconut oil is full of good fat and coconut flour has lots of fibre and fewer calories and carbs than nut flour, coconut sugar is even better as far as I'm concerned for those of us who battle the sugar addiction. I have made no secret in my posts that sugar has been one of the hardest things for me to give up. Even though using honey or maple syrup is healthier, as far as sugar cravings go I have found that for me they are just as bad as sugar. Honey is better only because I don't particularly like the taste, but eating either of these products can start the same kind of cravings for me as sugar does. 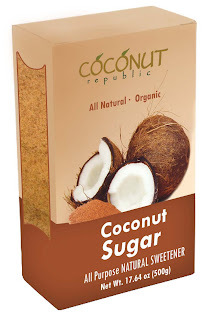 However coconut sugar doesn't, and having done some research I think I know why. It has to do with the glycemic index, which is a system of measurement that determines the impact carbs have on blood-glucose levels. According to the tables I found honey has a GI of 58 to 69 depending upon the kind. Maple syrup doesn't come in much lower at 54. However coconut sugar is 35 and is classified as a low glycemic index food. Because of this, people like me who find maple syrup and honey hard to resist, can do much better with coconut sugar. 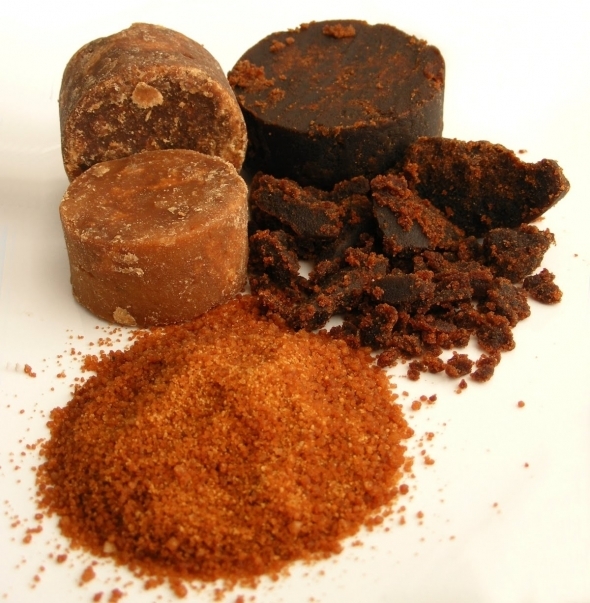 Coconut sugar is very easy to use in all kinds of dishes as well because you can use is as a 1 to 1 substitute. It looks and tastes a lot like brown sugar but with more of a caramel taste to it, which to me is a bonus. And not only is it a great product to use as a sweetener, it is actually good for you as well, being a rich source of potassium, magnesium, zinc and iron as well as Vitamin B. The coconut sap, from which coconut sugar is derived, contains 16 amino acids, the highest content being Glutamine which is very good for building muscle, helping with healing, and also used for cancer treatments. If you're interested in learning more about how coconut sugar is made, here is a video to watch. So how can you use coconut sugar? You can substitute it for any of the honey or maple syrup in all the recipes that I have given you. The flavour will be slightly different, but it will work just fine. And here are a couple more ways that I have found to use it. 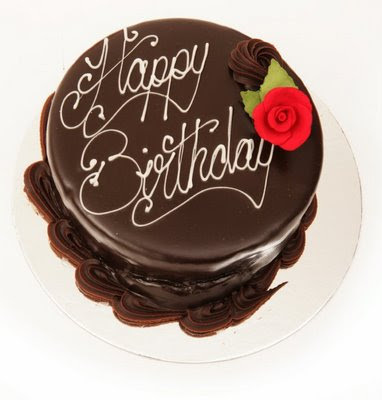 Even though I have several cake recipes that I make, I have never been able to come up with a good icing recipe, mainly because there really wasn't a substitute for icing or powdered sugar. Then I found this recipe posted by http://www.nourishingmeals.com/. - Place the coconut sugar and arrowroot into your food processor. Place the lid on tightly. - Start on low speed and gradually work your way up to the highest speed. It will take a few minutes to powder the sugar. You can start and stop the machine if you need to. Just don't open the lid or you will have powdered sugar floating everywhere in the air! - Keep blending the sugar until it is all powdered and light brown in color. - Keep the lid on for a few minutes to let it settle to the bottom. Then place into a glass jar and cover tightly with a lid. Store it in your pantry until ready to use. She recommends using a Vita-Mix or a coffee grinder. I have a small Cuisinart food processor which worked for me. The main thing to watch for is that whatever you use, it doesn't get too hot. Don't pulse for more than a few seconds at a time. I haven't had the opportunity to try this yet but now that I have a substitute for icing sugar I'm looking forward to making a real cake with real icing for the next family birthday. Even though others in your family may not eat Paleo like you do, it's great to know that you can offer them a healthier alternative to the sweets they are used to eating. 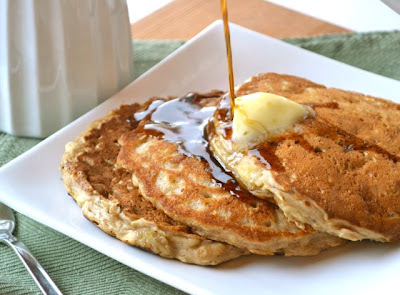 The other use I have found for coconut sugar is as a replacement for the sugar-free syrup I use on my French toast and pancakes. I have always used Joseph's Pancake Syrup which contains maltitol and even though as long as I don't use too much I don't have any of the gas that is a usual side effect, I am still happy that I have found a more natural substitute. Because coconut sugar is very close to brown sugar in texture it makes a wonderful syrup. I know that coconut sugar syrup is available some places, but not where I am, so I have started to make my own, and here is how. - Put the sugar and water into a saucepan and melt over medium heat, stirring and watching constantly so it doesn't burn. - Once the sugar has melted, add the butter and mix until melted. - Bring to a boil and allow to boil for just a minute or two until it starts to thicken. You don't need to boil it too long because it will get even thicker as it cools. - Pour into a glass jar or bottle and allow to cool. I find this makes a very rich toffee-like syrup and I don't use anywhere as much as I did when I used the sugar-free one. I also like the taste better, but that might be just me. For all us Paleo eaters, the coconut and all it's various products is a terrific staple to have in our kitchens, especially if we do a lot of baking and even more if we like to have something sweet once in a while. I am looking forward to doing a lot more experimenting in the future. 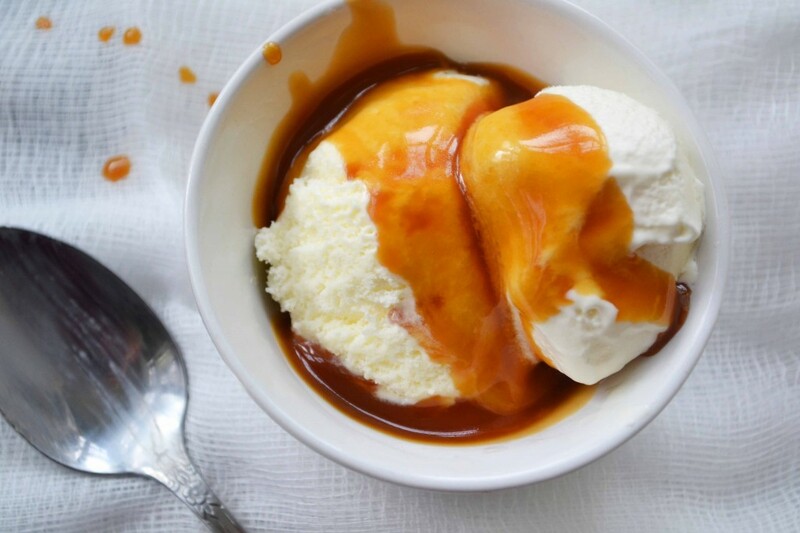 For instance the other day I decided to add a bit of cream to the coconut syrup above and ended up with something a lot thicker, richer and creamier that would be ideal over ice cream if you are a caramel lover. Imagine being able to eat coconut ice cream with coconut sugar syrup every once in a while when it's hot! Something to look forward to. I just got some coconut sugar and would like to use it in my baking, If I understand correctly, if a recipe calls for 1TBSP of honey I can sub 1TBSP of coconut sugar in its place? Yes Tracy, you've got it right. You use it as a 1 to 1 substitute. In cooking, when I use honey I mix it with the wet ingredients, but when I use coconut sugar I mix it with the dry. I have found that it works just as if you were substituting brown sugar instead of white. It has that same kind of caramel taste. I really like it and find it has a nice rich taste. It also seems to caramelize quite nicely. I sprinkled some as a topping on the last batch of lemon protein muffins I made and my son just loved it. I think it's an amazing product and hope you find that as well. Thanks for your blog and great recipes! 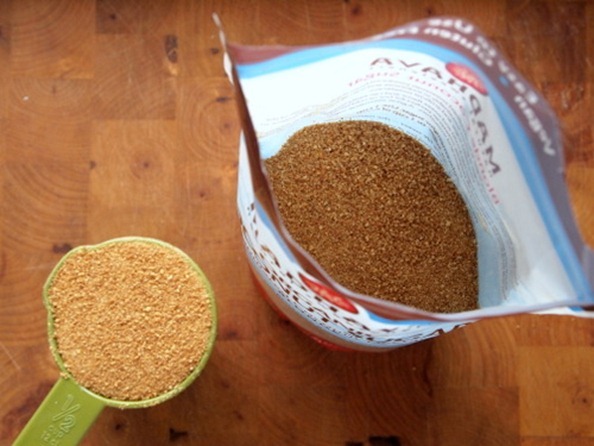 Very interesting post about coconut sugar, made my mouth water :) I will try your coconut sugar syrup, so my kids won't use a bottle of maple syrup in one sitting! With the Christmas season fastapproachig, this may be a healthy way of getting around the sugar loading that we all suffer. Have bookmarked this. Thank you so much for this great information. 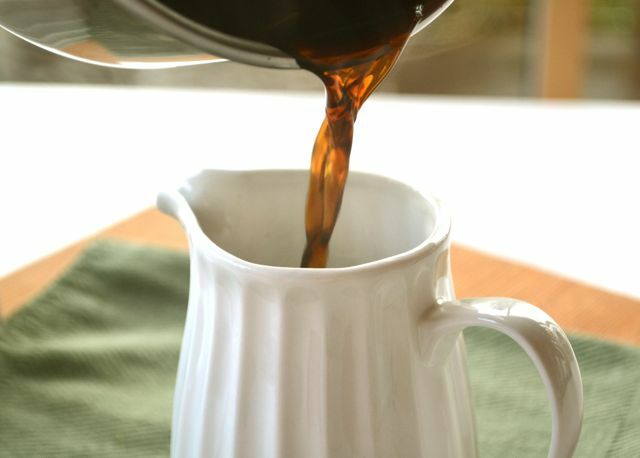 In substituting coconut sugar for maple syrup, agave or honey don't you have to make up for the liquid content somehow. Do you add some extra oil or water to the recipe? Thanks Karen, I'm glad your enjoying my posts. As for your question, when I bake I find that these syrups don't act like liquids, and substituting coconut sugar doesn't usually make much different. You also aren't using a huge amount of it in any of my recipes. However if you're ever worried that your batter looks too dry, you can always add a little water one spoonful at a time until it looks the way you think it should. My concern is buying this sugar may be supporting the burning of the forest in Indonesia which is causing unbelievable pollution. Elephants and Orangutans are being killed in high numbers and no one seems to care!